"Jewish Genealogy: How Jews Got Our Last Names"
featuring Author Connie G. Krupin. 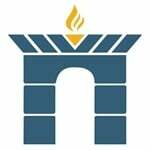 Ever wonder where your last name came from? Why are there so many Jewish Schwartzes, Weisses and Kleins? Take the ultimate "Jewish Genealogy" journey through history with author Connie G. Krupin to learn the origins of our Ashkenazi and Sephardic surnames. Discover what our names mean, what they tell us about our great grandparents and what they reveal about ourselves! 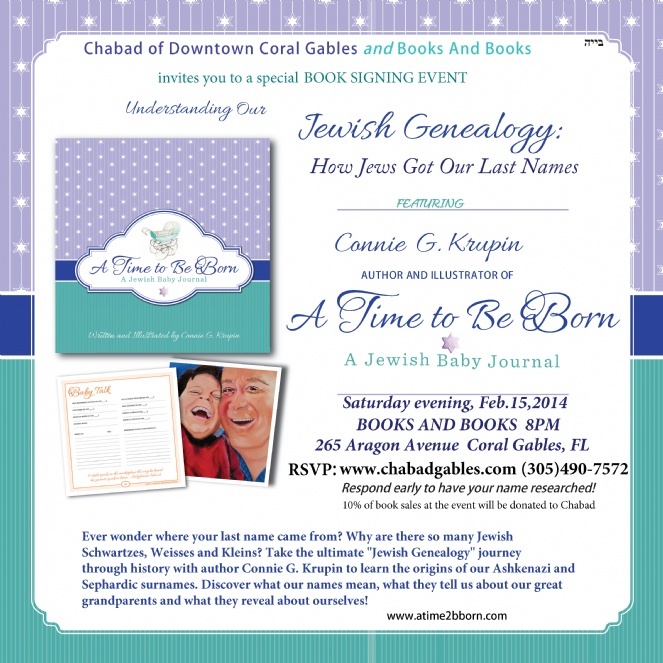 Special bonus: Submit your name to have it researched by Connie Krupin.Email info@chabadgables.comor call 305-490-7572. Respond early to have your name researched in time!